My friend Robert Horvat, who has a wonderful blog Rear View Mirror, has an equally eclectic taste in music. I love the passion and exotic beauty of this song he recently posted by Turkish band Light in Babylon. One of the most eloquent and heartfelt posts I’ve read about Linkin Park’s Chester Bennington, from the blog Saint Audio. One week has passed since news of Chester Bennington‘s untimely death sent shockwaves through the internet, devastating fans all over the world. I’d say that what’s stunned us most is the manner in which he left this world—all too familiar, but never expected, and always jarring. As Linkin Park‘s frontman since 1996, Chester’s voice became a voice for many who may not have been able to express or convey their own inner turmoil through words, or who felt too ashamed to do so. 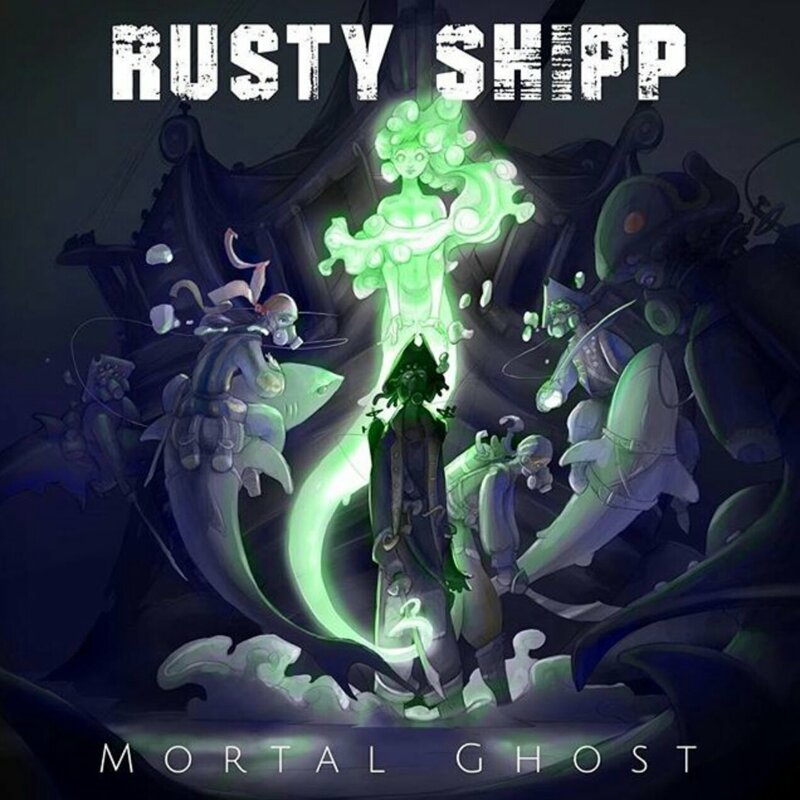 I discovered the band Rusty Shipp through fellow blogger Zezrie of Jealous Sounds and I love their music! Check out her review and Rusty Shipp’s awesome, hard-driving music. On Oct. 24, I wrote up a piece about them crowd funding their latest album “Mortal Ghost”. Rusty Shipp did it! They succeeded, and now, “Mortal Ghost” is here for us to enjoy. It was worth the wait. For those that follow my blog, they might remember one of my first Music Challenges where I listened to an album based off the band’s name, album cover or name of the album. I picked King Gizzard & The Lizard Wizard’s album strictly because of their band name. And to my surprise, I really loved the album. When I saw they had a new album out, I naturally gravitated toward it and gave it a spin…a lot of spins. Their new album is called ‘Flying Microtonal Banana’ and is their 9th studio album since 2012..that is right…9th!! They also are planning on releasing not one, not two, but FIVE albums this year. Pretty ambitious and we will wait and see if they actually able to achieve said goal. The band is out of Australia and actually has seven members.